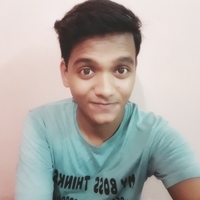 Optimize Meta tags, create unique contents, link back to other pages, use alt-text in all images….. These are textbook on page SEO techniques. While they might look easy to execute, that’s not entirely the case. And this is exactly why having the right set of tools by your side is rather imperative. They can make the entire optimization process much efficient, time-effective, and data-approved. Google’s own, PageSpeed Insights checks the speed of your website on desktop and smartphone. It returns back with a handful of optimization suggestions that you can implement to further boost the loading time of the website and help your SEO. Another tool to check the speed of your website. But unlike Google PageSpeed Insight that scans the code of the page, GTmetrix actually loads the website as users’ browsers do. You can call it as a more human side testing of your website. GTmetrix tests your website, tells you what is slowing it down, and also offer helpful resources to speed it up. My favorite! Incredibly simple and straightforward, KeywordTool.io uses autocomplete functionality of various search engines to tell you relevant, long-tail keywords. The powerful tool can generate over 750 keywords, along with question-based keywords, from your seed words at no cost. No wonder it’s ranked as one of the best free SEO keyword tools. If you ever fear spamming and wonder whether you’re using keywords way too much in your article, this keyword density checker can play a savior. 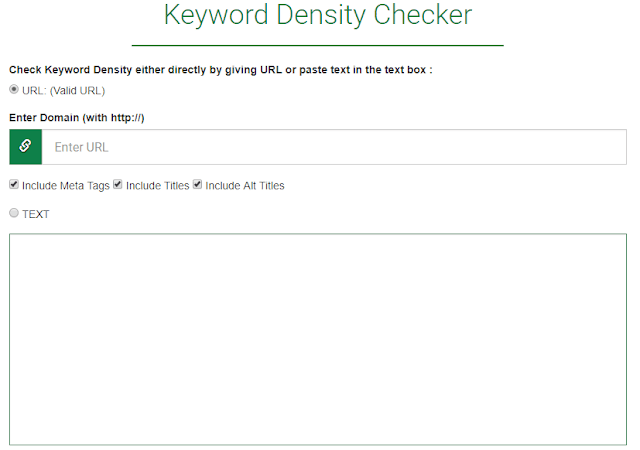 You can either provide a URL or input a whole chunk of text in the box to find the keyword density. 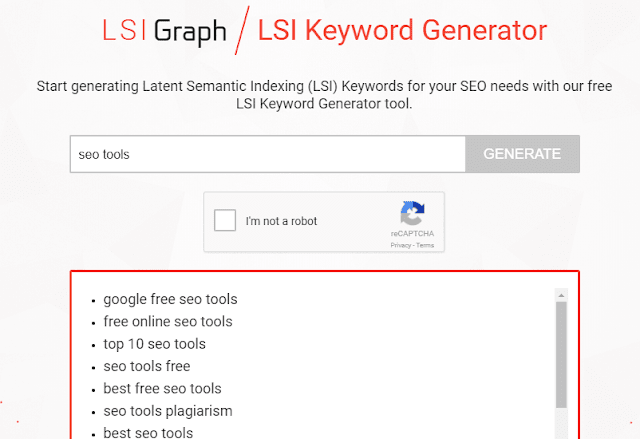 LSI Graph is top LSI keyword generator tool. Simply put, standing for Latent Semantic Indexing, they are the keywords that help Google understand the correlation between the content of your website and the users’ search queries. And with the passing days, they are playing more and more important role in SEO. In LSI Graph, input your primary keywords, and you will be displayed a long set of LSI keywords. Very popular among copywriters, Copyscape helps you find the unauthorized use of your content copies on different websites. Simply put the URL of your webpage and the tool return back with a list of links that has matching sentences and paragraphs as your original content. Once you found the thieves, you can mail them, along with a legal compliant threat, to remove your content from their website. Most of them will take off the content. Here’s a good piece, on Kissmetric, by Olivia Rose on how to find and remove stolen contents. Siteliner is a multi-purpose tool. It helps you find duplicate contents and broken links, along with providing plenty other relevant information. 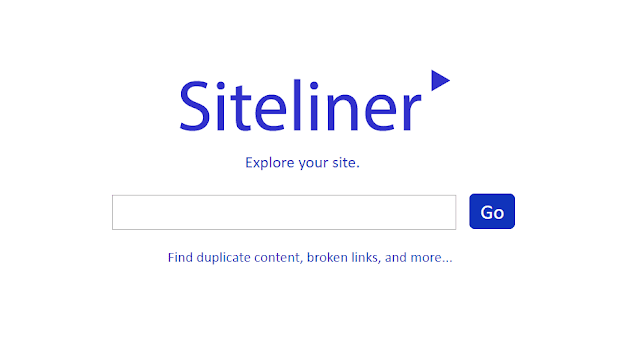 Also, Siteliner allows comparison of your website with other websites on different parameters, including average page load time, text to HTML ratio, internal links per page and more. 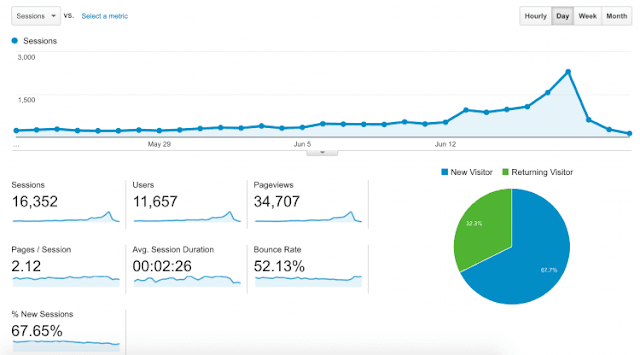 There’s a big chance that you’re already using Google Analytics. Beyond any doubt, this is the most comprehensive free on page SEO audit tool that tells how visitors are interacting with your website. You can analyze rich data (like bounce rate, CTR, dwell time, device usability and more) to effectively improve your optimization efforts. 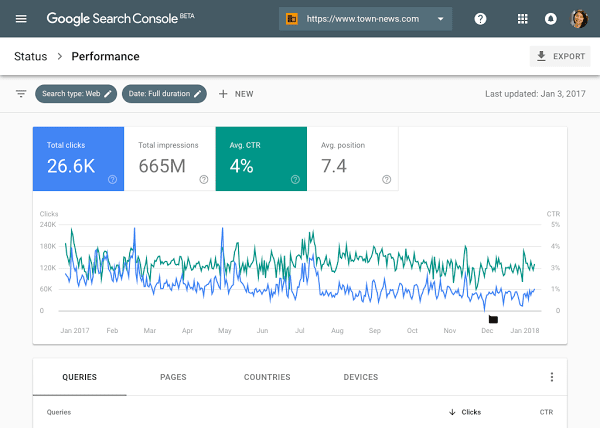 Again a tool from Google that is used to track the performance of your website through search queries, keywords insight, and traffic patterns. It also helps in HTML improvements, structured data markup and more. 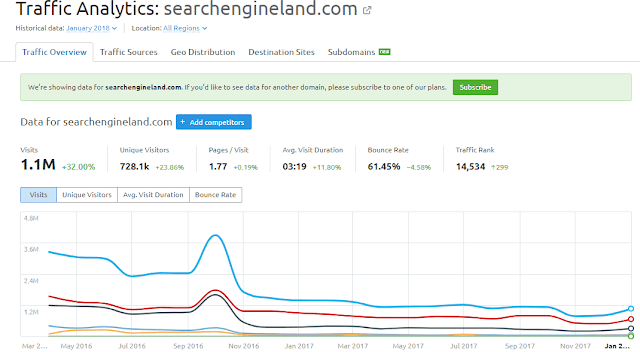 SEMRush is the best SEO tool to spy on your competitors and improve your own game. It offers a plethora of information, right from organic search to backlinks to traffic analytics. Even in its free version, you can get a lot of information. As is evident by the name, this SEO tool helps you scan your website for broken links. It’s extremely simple, handy and quick. If you want to know what your top competitors are up to in their Meta Tag department, Buzzstream Meta Tag Extractor is your go. 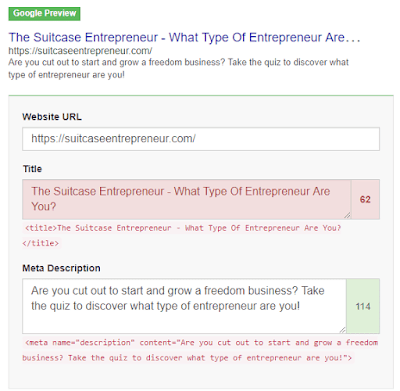 This easy-to-use SEO tool helps you know and download (in CSV format) the Meta title and description of all your competitors on a single tap. Know what the top ones are up to, learn from them and then up your own game. It’s a basic tool that helps you see how your website/webpage will look on Google search result. Quite handy to optimize the Meta titles and descriptions to improve Click-Through Rate. A great on page SEO checker tool. In its own word, it helps you “see how well a page follows the Google guidelines”. One of the best things about Varvy is that it has a super-clean interface with a centric focus on the technical SEO part. Extremely helpful to know a bunch of information about a website, from Googlebot access to security status to HTML validation. 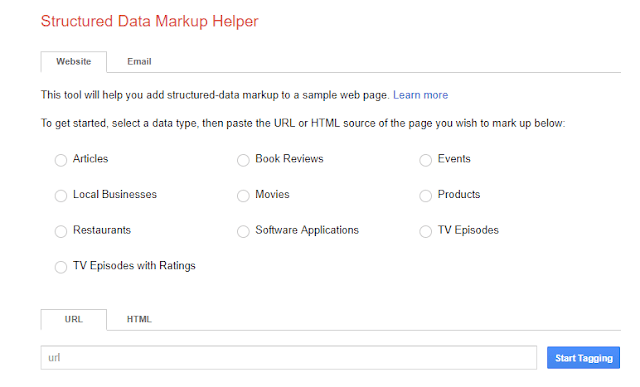 If you’re really looking to dive in the nitty-gritty of SEO, Structured Data Markup Helper is your go-to which does exactly what its name suggests. It is a tool from Google that helps you develop, test and modify your structured markup to ensure search engines understand the structure of your website correct. Because the better they understand your website, the more the chances of ranking higher on SERP. This tool is incredibly easy to use and very interactive, designed especially for beginners (but used even by pros). This one is an all-in-one on page SEO audit tool that provides powerful yet easy-to-consume output. 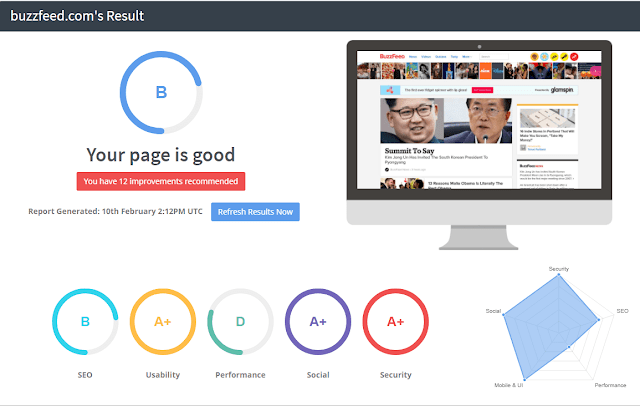 Input your URL and SEO Optimizer will grade it on 5 different factors: SEO, usability, performance, social and security. Along with the grades, you will find a lot of useful details on where your website is falling short, what requires more improvement and what departments are perfect. 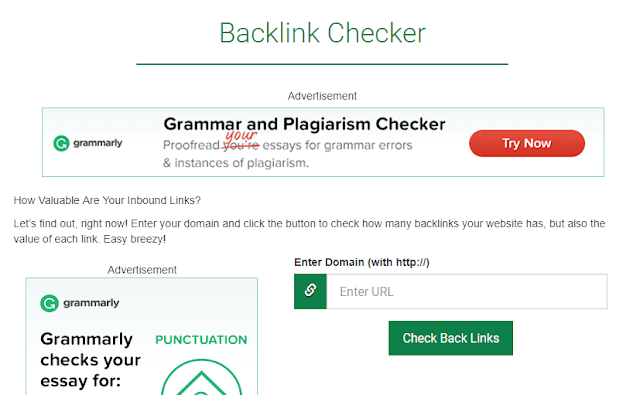 While Google Search Console offers an extensive report on the backlinks your website is getting, if you want a quick scan, this backlink checker is a great option. Very simple, quick and with no hassle of signing up. 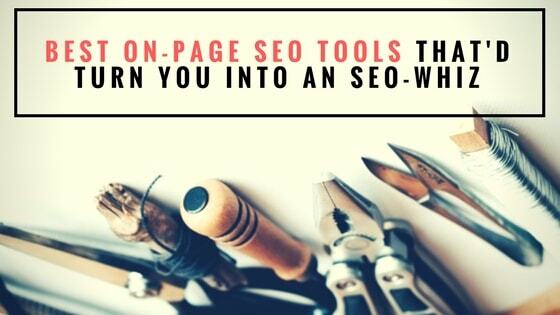 These are 17 best on page SEO tools that can seamlessly help you increase your traffic. By no means is this list comprehensive. There exist plenty more equally amazing SEO tools. However, the mentioned ones are more than sufficient to get anyone started on the on-page optimization of their page. Leverage the power of these tools and turn yourself into an SEO whiz easily! Which free SEO tool do you think is the best and everyone should use it?